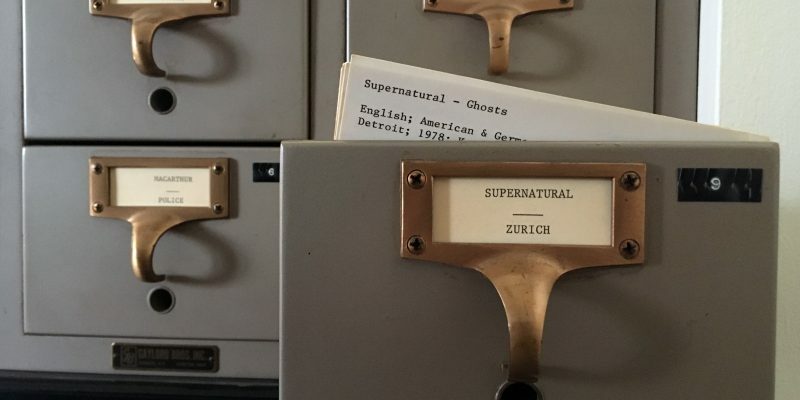 Archivist Elizabeth Clemens shares spooky stories from the Reuther Library’s Folklore Archives about Le Loup Garou, or the Werewolf of Grosse Pointe; the Ghost of Tanglewood Bridge on Detroit’s Belle Isle; hauntings at home; and a helpful witch on Detroit’s McClellan Street who fetched groceries and hung her skin on the wall. Archivist Bart Bealmear reminds us of Gundella the Green Witch, a local personality with an advice column in Detroit-area newspapers in the 1970s and 1980s. 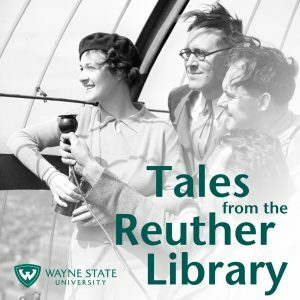 Reuther Library archivist Shae Rafferty discusses the career of Minoru Yamasaki, renown architect of the original World Trade Center, the Dhahran International Airport in Saudi Arabia, and many buildings in the metropolitan Detroit area. 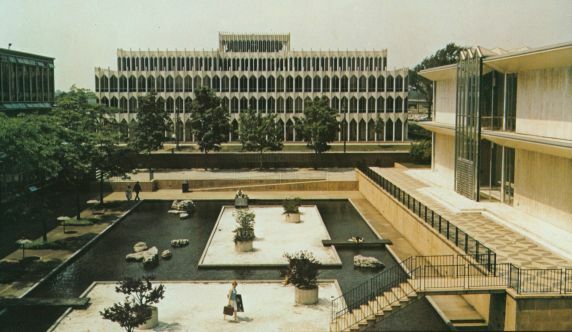 University archivist Alison Stankrauff shares the history and design of four Yamasaki buildings on the campus of Wayne State University in Detroit.